Password save? I am SO THERE! 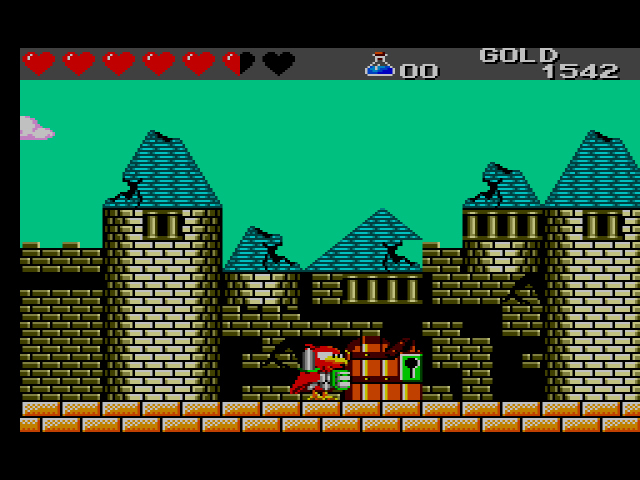 Wonder Boy III, where have you been all the Master System’s life? This superb follow-up to Wonder Boy in Monster Land is one of the strongest cases for the console, a non-linear action/ adventure as epic as anything Nintendo gave us on the NES. 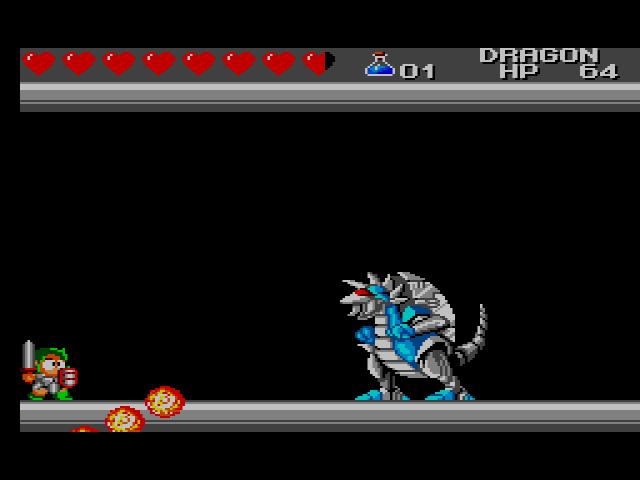 Beginning in the same castle where Monster Land ends, Wonder Boy finds himself back at Monster Land‘s final boss, the Meka Dragon. Thankfully, Wonder Boy is already beefed and the Meka Dragon is an easy kill. 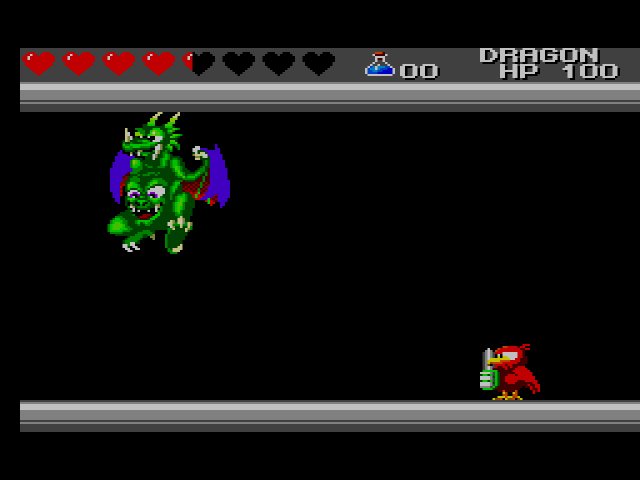 Right as you’re about to leave, however, the dragon’s spirit curses Wonder Boy and turns him into a mini dragon, otherwise known as Lizard Man. Your stats decrease significantly, and your only line of offense/defense is some fire-breath. Thus begins The Dragon’s Trap. Even Lizard Men get the low down desert blues. 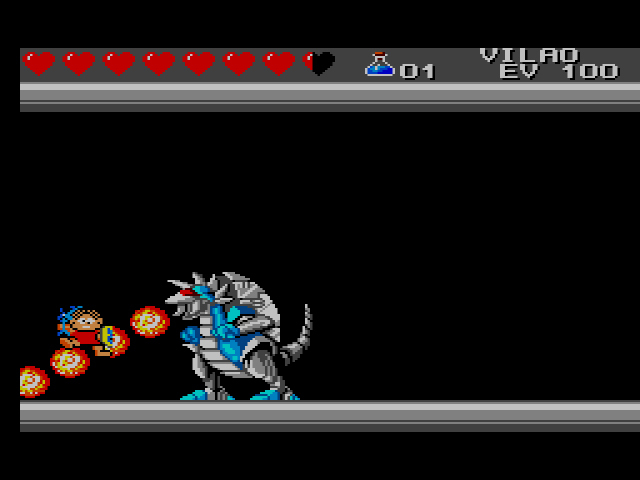 Lizard Man is but one of the many creatures Wonder Boy morphs into over the course of the game. Every time you defeat a boss, a blue spirit chases you around the room and morphs you into a different being with their own unique powers. These transformations are at the heart of the game. Like any good Metroidvania, subsequent transformations give you new powers which unlock previously locked areas of the game. Lizard Man is the first of the creatures, and as previously mentioned, he breathes forth fire. Mouse Man is small, but he can also crawl upside down and around particular blocks (he also looks nothing like a mouse). Piranha Man can swim with ease. Lion/Tiger Man is incredibly powerful and has a formidable downward slice. Finally, Hawk Man can take to the skies and fly over and above the majority of the enemies (don’t get him wet). You can only inhabit the body of one creature at a time. As you progress further and accumulate more transformations, certain rooms will allow you to transform back to previous creatures. 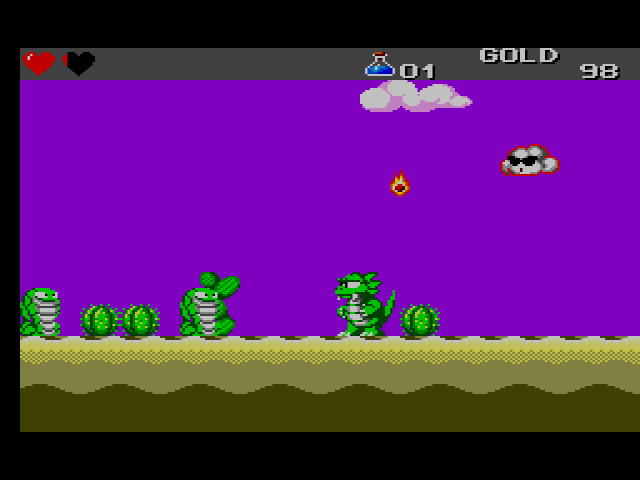 Unlike Wonder Land, which was a linear action game with RPG elements, The Dragon’s Trap favors a more open-world approach. While you always begin the game in a town centrally located between all the game’s areas, you’re free to explore anywhere your current form can take you. For example, to the left of the town is a bridge composed of golden bricks and a wall of blocks that prevents you from jumping over them. As the Lizard Man, you can’t destroy the bridge or climb the wall of blocks. You can, however, ascend up the nearby tower and wander through the desert. Later, when you have the Mouse Man transformation and the Thunder Saber that allows you to cut through golden bricks, both pathways will be open for exploration. Only Piranha Man can take you to the sunken ghost-filled pirate ship. While you might initially be flummoxed as to where The Dragon’s Trap wishes you to go, once you unlock an area, the gameplay transforms into strict linear action similar to Monster Land. The enemies approach you with timing-based attacks. Snakes hop forward slowly. Sunflowers and gargoyle heads spew projectiles at you once a second. Ninjas throw stars, then leap into the air before landing and pausing on the ground. Because your sword is nearly as short as Link’s in Zelda II (that’s very short, for those who haven’t played the latter), combat is almost always an up-close affair, unless you’re reppin’ Lizard Man and his flame projectiles. This can be frustrating, particularly since the hit detection calls for precise attacks. Unless you’re right on top of an enemy hacking away at them, you will not touch them with your sword. You do collect limited secondary attacks from enemies, like tornadoes, boomerangs, and fireballs, but I found them weak in comparison to your trusty sword. Turns out, ninja aren’t Lion Man’s best friends. As in Monster Land, enemies drop coins or money bags. It is vital that you collect them all. While money is not nearly as sparse as it was in Monster Land, you’ll still need every last copper for new weapons, shield, and armor. Better weapons upgrade your offense, stronger shields upgrade your defense, and bejeweled armor upgrades your Charm Points. Charm Points have one function only: to persuade the shopkeeper to show you his wares. If you enter a new shop and see only question marks where items should be, equip a piece of armor with more charm points (red stones obtained from enemies also add to your charm). The more charming you are, the quicker the shopkeeper will let you see his wares. While an interesting idea, all these charm points do is waste time and extend an already lengthy game. If you don’t have enough charm points to buy a much needed piece of equipment, you might have to grind to get the money/red stones needed. Worst boss in the game. Death to all Pirate Dragons. Until you find the fabled Hades Armor and are able to regenerate health automatically every time your hearts run out, you must tread lightly as you progress through the game. The Dragon’s Trap is as hard as a kidney stone, unflinching in its ability to inflict sudden pain on the player; I saw my six full hearts be reduced to zero within three hits one time, and it shattered my self-confidence in Hawk Man. The game isn’t cheap, though. Much of the enjoyment I received from The Dragon’s Trap was learning how to be a better player within each character’s limitations. Amassing lots of money, buying new equipment, and getting stronger is extremely satisfying, particularly after you face a grueling series of battles. While the combat in The Dragon’s Trap is rewarding, West One could have put more thought into the game’s level design. Monster Land feels less like a world one inhabits and more like a series of randomly connected, super long corridors that happen to have a bunch of monsters in them. Finding new areas to explore provides a brief moment of joy, quickly tempered by the emergence of similarly crafted rooms. Three hearty jeers to the password system, also. It’s the only way you can turn off the game and return (more or less) to where you were. The game doesn’t just provide you the password after you beat a boss, however. In order to get the password, you visit a certain room in town and the shopkeeper pig gives you one. This means that it’s up to you to remember to visit the room and write down the password if you’re going to turn off the game. Once you input it, you’ll be returned to where you were with your current form, equipment, and amount of gold, but no secondary weapons or life potions. It’s an imperfect and frustrating system, and for as large and challenging as The Dragon’s Trap is, saving via battery backup should have been a no brainer. Don’t let long, meaningless hallways and passwords bring you down on Wonder Boy. The Dragon’s Trap is brilliant. 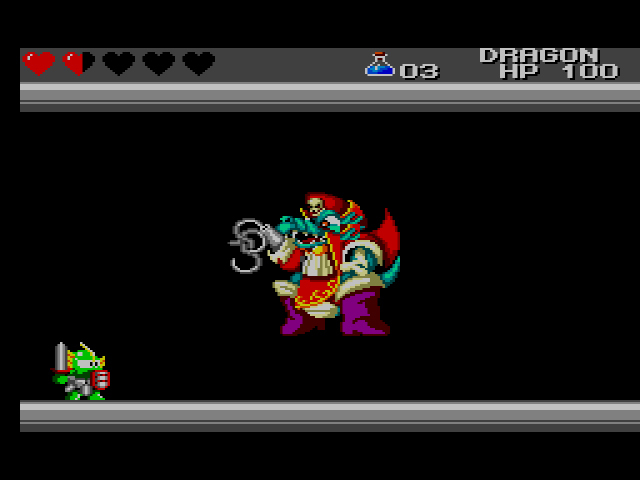 The designs for both the character transformations, the enemies, and the bosses are well-crafted and extremely memorable (shout-out to the shopkeeper pig, whose blindfolded visage and dangling cigarette make it appear that he’d rather be anywhere else). 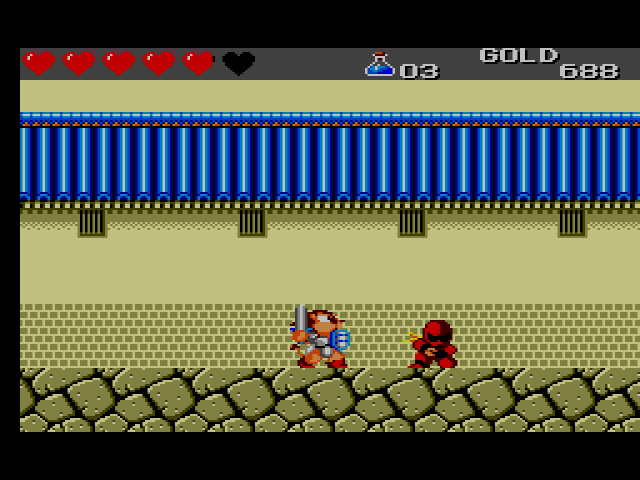 The graphics are sharp and colorful, nearly 16-bit quality. And unlocking the next area and experimenting with each creature’s powers will consume your waking thoughts. Truly one of the most rewarding experiences on the Master System. 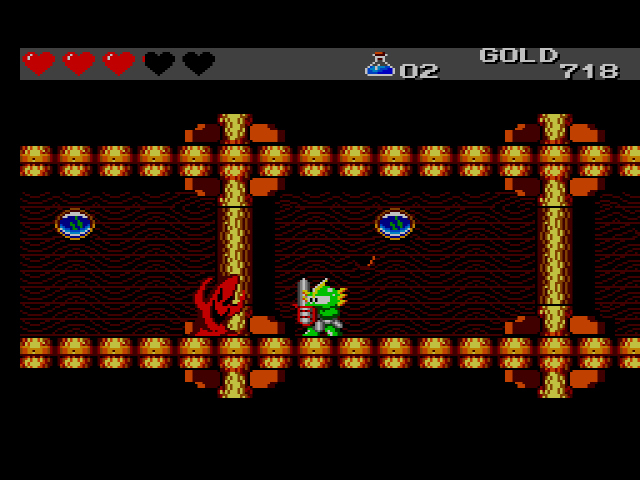 Wonder Boy isn’t quite as wondrous as I remember him being. 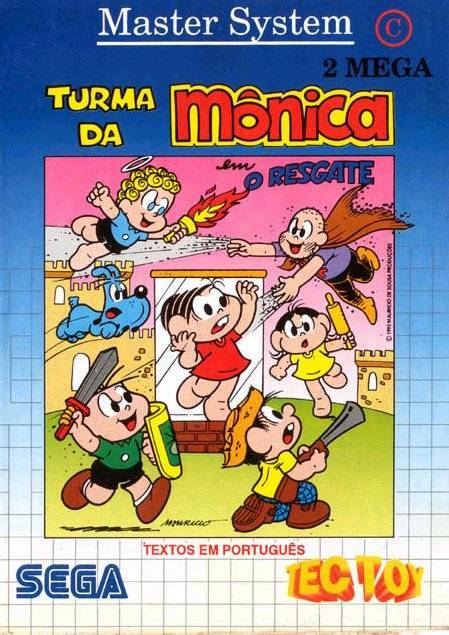 Turma da Monica em: O Resgate (Monica’s Gang: The Rescue) is one of Brazil’s infamous romhacks of an already released Sega game. 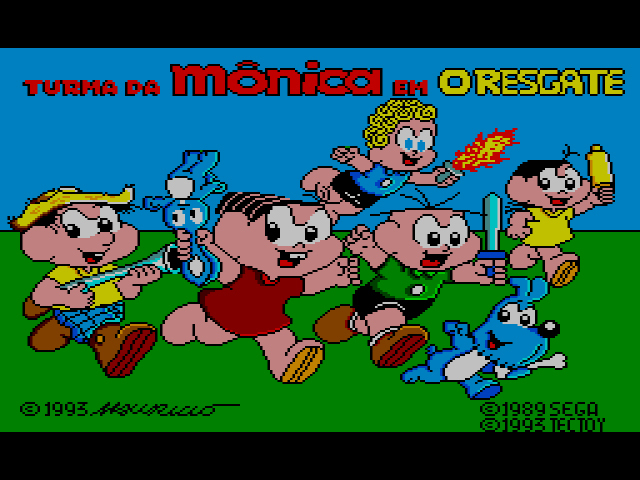 In this case, Wonder Boy and his transformations have been replaced with Monica and his gang, a series of famous Brazilian comic book characters. With the exception of the Portuguese text and the main character sprite switches, the game plays and looks the same. Isn’t there an arcade version of this game? Normally you compare them to the arcade versions. There actually isn’t! Unless you’re thinking of Wonder Boy III: Monster Lair, which was originally released for the arcades and is a different title altogether. This series has super confusing numbering (technically 2 separate overlapping series Wonder Boy and Monster World). 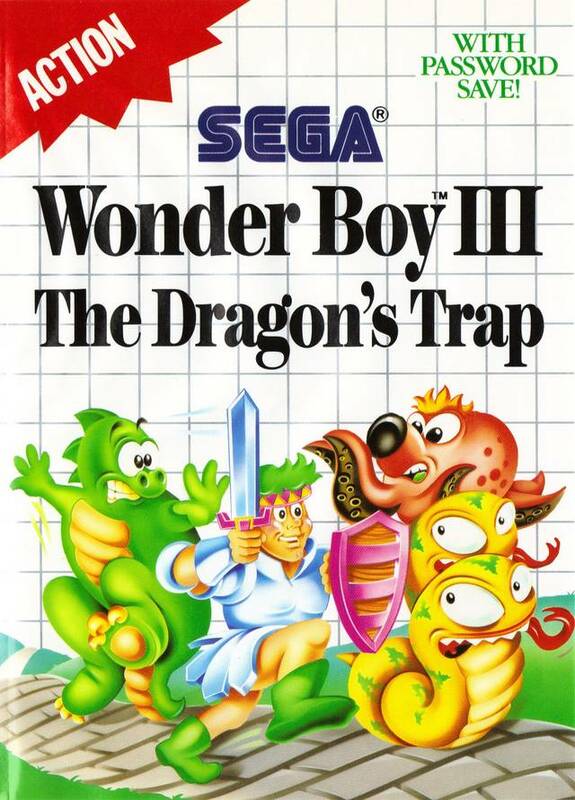 There are 2 Wonder Boy 3’s, but don’t worry the next one was Wonder Boy 5. Not to mention Adventure Island, which split off from the first Wonder Boy into its own series. I’m gonna be honest. I never owned this game. When I sold my SMS to my friend when I bought my Genesis, this is one of the first games he bought when it came out, I went over and played it with him at his house. The only time really I kind of regretted selling my SMS. This game was just amazing. I wished I had it to myself. Definetly a top SMS game for me, if not the best. I go back and forth on this or Phantasy Star. This type of game they just wasn’t really around on consoles yet. Metroid is not even really similar to this other than your unlocking new areas with upgrades. Picking off right from the last game was brilliant. It really made a fun world to play in. Also to note, this game was also released on Game Gear. Is was never released on the SMS in Japan. Despite having a Japanese translation and title screen. Apparently the Japanese release was ready but Sega killed the Mark 3 there so they scuttled it. Although they did get the GG port years later. But maybe the best way to play this now is the TH-16/ PC-Engine version released by Hudson. It’s called confusingly Adventure Island in Japan and Dragons Curse in the US. 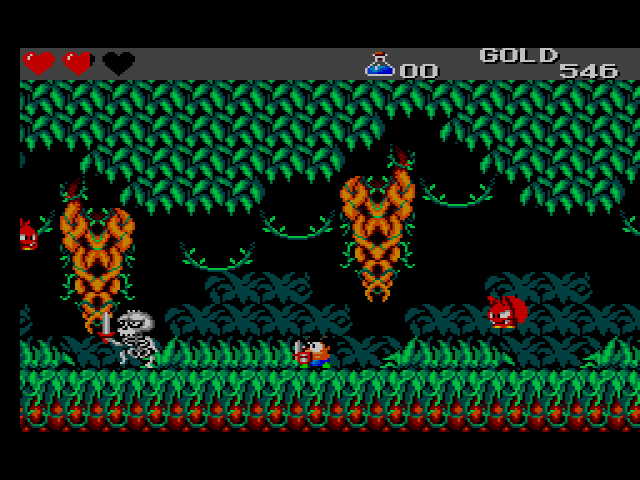 It’s identical except for having much better graphics and sound, and having all Wonderboy references removed and the sprites changed. I was thinking of reviewing the Game Gear version really quick, seeing as they’re more or less the same, but decided to hold off. This review’s been a long time coming. This is one of the best 8-bit games ever. The graphics, music and controls are all top notch. If this is an A- then there is no such thing as an A+. I’ve always heard good things about this one and have wanted to try it out someday. It looks really fun! And I’ve softened a bit on Pirate Dragons. I mean, think about it . . . PIRATE DRAGON! It’s like everything we thought was cool when we were little kids rolled into one, sort of like a Robot Dinosaur or a Ninja Spaceman. Oh, the concept of Pirate Dragons is great, but the execution? Not so much. This is one of the holy grail SMS games that I need to track down at some point. I’ve only emulated it very briefly, and never really gave it a second look, but by all accounts it’s fantastic. It is! You owe it to yourself to check it out. Though I own both this game and its predecessor, I haven’t played neither of them. Damn my obsessive need of playing game series in chronological order (even if the original Wonder Boy really hasn’t got anything to do with this game)! It is neat to start at the first Wonder Boy and go from there, if only because the series deviates so far from where it starts. Just found out that there will be a spiritual successor to this series released soon. It will be called “Monster Boy” to avoid trademarks. Ryuichi Nishizawa, the creator of the Wonder Boy and Monster World games is working on it and Yuzo Koshiro is contributing music. Sounds really cool. The recently but put a video on footage so far. It looks amazing. Finally got a hold of this game. Absolutely loved it. It’s pretty incredible. I’m surprised it didn’t warrant a fully fledged A from you though! It was great… but not ‘A’ worthy. I’m kind of late to the party but I just started playing this game with my 6 year old son and and it is absolutely one of the best 8 bit games I’ve played. It is the first console game my son has ever played and he asks every day if we can play wonder boy. I’m so glad his first experience with console gaming is a classic he won’t ever forget. That’s awesome, Jason. You’re raising your son right! So I just picked up the remake, Wonder Boy the Dragons trap on Switch. It is the definitive version of this game and it’s fantastic. It’s all re scinned in Georgous hand drawn art and backgrounds and orchestrated music, it is almost 100 percent the same game, you can on fly switch between the original game and updated graphics , as well as the sound. There a few changes to make the game better like not needing the password (but you can still use it! And your old passwords!) and changing up the charm Stone stuff a bit. But for the most part it’s the exact same game with real instruments and HD hand drawn art. It really gives all the locations a sense of place and the enemies more character. If your going to play this game pick up the remake, it’s well worth it. Thanks for the update, Sean. I was a little concerned, not for the gameplay, but the graphical changes are… not my favorites. But the fact that you can switch back and forth between updated and original makes me happy.